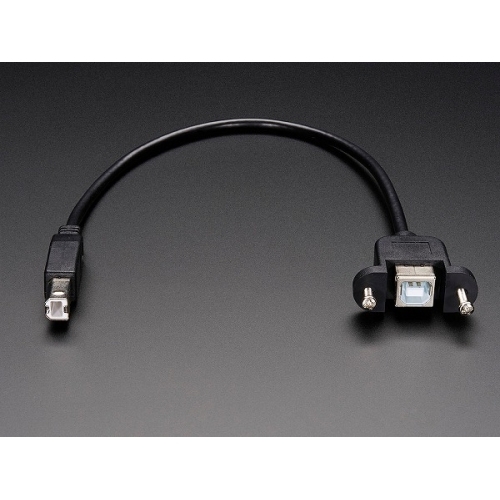 This handy USB extension cable will make it easy for you to enclose a device that has type-B port. We think this would be most handy when putting an Arduino UNO or similar in a box. The jack half has two mounting 'ears' with M3 screws installed, 1.1 inch / 29mm apart. Can be used with box walls 0.125" to 0.25" wide. If you have a thinner-walled box, simply swap out the M3 screws for shorter ones. Entire cable is 13" long.